This is the ultimate guide to arms and armaments from the spears and swords of ancient history to the guns, tanks, battleships, and fighter planes of the 20th and 21st centuries. 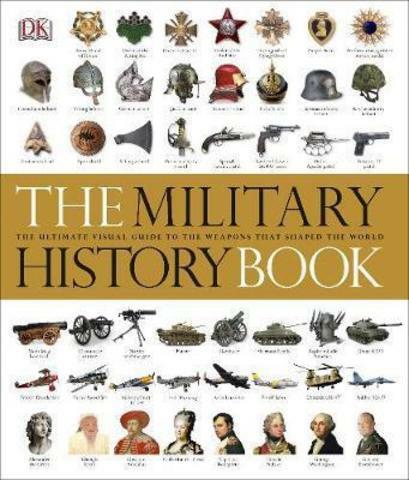 The Military History Book profiles the key arms and armaments, technologies and tactics of war from 5,000 years ago to the present day in stunning visual detail - from the siege towers and catapults of ancient times to medieval swords and fortresses, and from the war machines of the industrial revolution, World War I and II and the Cold War to the unmanned drones and stealth bombers used by today's armed forces. Discover the battles, leaders and weapons of war that have changed the course of history and shaped the world and get up close with virtual tours of iconic pieces including the T-34 Tank, the Lockheed F-117 Stealth Bomber and the AH-64 Apache helicopter.